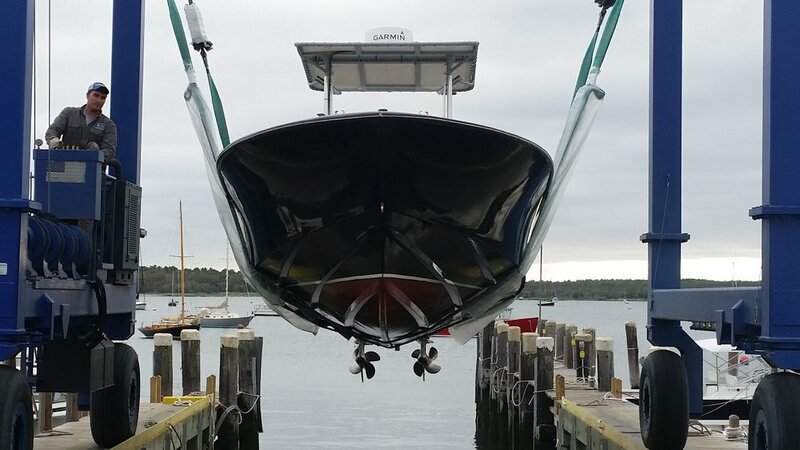 Mattapoisett Boatyard offers boat owners seasonal and guest moorings with launch service during daylight hours. We sell marine gasoline and diesel. We operate a free pumpout service. There are heads and a shower available at all times. The yard keeps a marine store complete with most maintenance and repair items as well as some accessories. There is always ample parking and plenty of room for dinghy storage. A limited number of storage lockers are available to seasonal customers. The Mattapoisett Yacht Club (hyperlink: www.mattapoisettyc.org) is located on the premises and has memberships available. Mattapoisett Yacht Sales is located at the yard for those interested in buying or selling a boat. Tad Morse, broker can be reached at 508-243-8226 or email him at [email protected]. You will find his knowledge and expertise invaluable as you work to buy or sell your boat. Of course, we also offer dry winter storage at both of our Yard locations for up to 275 boats (total) as well as limited inside storage (full service only) for up to 40 boats. We offer marine crane services and also have a work barge. We operate a second, 2+ acre inland storage and maintenance facility located on Route 6, less than 2 miles from our waterfront yard. Formerly known as the “Yacht Lot,” we have storage for about 125 boats and floating docks. There is power and water supplied around the perimeter, and the yard is secured with a locked gate. There is a sail maker/canvas repair loft, who would be happy to do any level of service or repair to your sails, canvas or cushions. Mattapoisett Boatyard Inc. is a friendly boatyard allowing boat owners to perform much of their own maintenance and repairs. There are strict environmental and occupational regulations that must be adhered to while any work is going on. Please inquire about these rules. MBY reserves the right to limit, restrict or prohibit any work we feel is not appropriate. Please request a storage contract for all regulations. Mattapoisett Boatyard carries a wide array of marine accessories and products. We are an authorized dealer for Yanmar and Westerbeke and a service center for Mercruiser, Universal, Awl Grip and Interlux. We also perform service and repairs for most outboard brands including Yamaha, Johnson, Evinrude, Mercury, Honda, Tohatsu and Nissan. If you need warranty work performed for any of these brands, we can easily source a local authorized dealer if necessary. We use original equipment parts (OEM) whenever possible as well as the highest quality aftermarket parts and accessories. Click here for Service Rate Sheet.